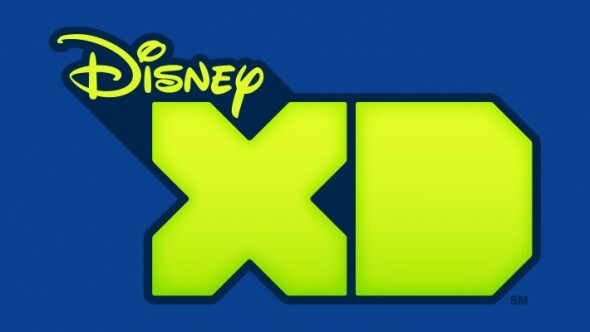 Disney XD is headed to the past, the present, and the future. This week, the network announced their new animated series Future-Worm! premieres in August. Future-Worm! will feature the voices of Andy Milonakis, James Adomian, Jessica DiCicco, and Melanie Lynskey in addition to guest appearances from Neil deGrasse Tyson, Bill Nye, Selma Blair, Jack McBrayer, Jeff Ross, and more. Future-Worm! premieres on August 1st at 11 a.m. ET/PT. Future-Worm!,” an animated comedy adventure series about an optimistic 12-year-old who creates a time machine lunch box, and then meets and befriends a fearless worm from the future (with titanium-enforced abs), premieres MONDAY, AUGUST 1 (11:00-11:30 a.m. EDT), on Disney XD. Created and executive-produced by Emmy Award-winning director Ryan Quincy (“South Park”), the comedy follows Danny and Future Worm as they embark on adventures through space, time and study hall. The characters were introduced last year in a popular “Future-Worm!” short-form series on Disney XD and Disney XD’s YouTube Channel. Each episode delivers an 11-minute story, a 3-minute story and a 7-minute story to debut across all Disney XD platforms. Previews of the 3- and 7-minute story segments from the premiere episode will be available on the Disney XD app with the 3-minute also available on Disney XD’s YouTube Channel beginning MONDAY, JULY 11. “Future-Worm!” stars Andy Milonakis (“Kroll Show”) as Danny; James Adomian (“Comedy Bang! Bang!”) as Future Worm; Jessica DiCicco (“Gravity Falls”) as Bug; Melanie Lynskey (“Two and a Half Men”) as Danny’s mom, Megan Douglas; Ryan Quincy as Danny’s dad, Doug Douglas; and Corey Burton (“Jake and the Never Land Pirates”) as the Narrator. Celebrity guest stars include: Astrophysicist Neil deGrasse Tyson; Selma Blair (“The People v. O.J. Simpson: American Crime Story”); comedian Jeff Ross; Jack McBrayer (“30 Rock”); Chelsea Peretti (“Brooklyn Nine-Nine”); Bill Nye (“Bill Nye the Science Guy”); Jonathan Frakes (“Star Trek: The Next Generation”); songwriter Paul Williams (“Rainbow Connection”); Noel Wells (“Master of None”); David Koechner (“Anchorman”); Josh Brener (“Silicon Valley”) and Andy Daly (“Review”). 3- and 7-minute story segments from premiere episode available on the Disney XD app and 3-minute story available on Disney XD’s YouTube Channel. “Healin’ Touch with Dr. D” (3-minute) – After Danny gets a brain freeze, Future Worm puts him on a future medical TV show where the doctor is a terrifying Tyrannosaurus Rex. “Terrible Tuber Trouble” (7-minute) – Danny’s attempt to make his parents dinner while also playing with his new chemistry set inadvertently leads to the creation of a potato monster. “Long Live Captain Cakerz!” – Danny discovers that his favorite Captain Cakerz cereal is mysteriously sold out, so he and Future Worm travel back in time to find out what happened to it. Guest starring are astrophysicist Neil deGrasse Tyson as himself and Jonathan Frakes as Steak Starbolt. “Robo-Carpe Diem,” a new game where players can design and feed their own Robo Carp, a faulty, malfunctioning robot fish on wheels, before it explodes, launches on the Disney XD app. What do you think? Do you watch Disney XD? Will you watch Future-Worm!? More about: Disney XD TV shows: canceled or renewed?, Future-Worm!, Future-Worm! : canceled or renewed?